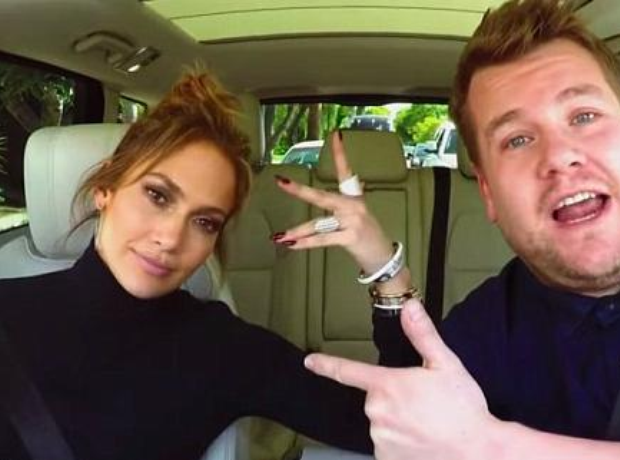 Jennifer Lopez joined James Corden for Carpool Karaoke. 20. Jennifer Lopez joined James Corden for Carpool Karaoke. Jennifer Lopez will be riding up front when she joins James Corden for his first ever primetime Carpool Karaoke on Tuesday night.